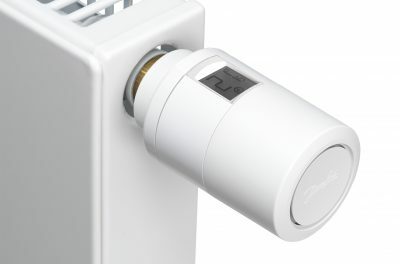 Fitting Individual room temperature controls such as thermostatic radiator valves (TRV) is among a number of requirements for new buildings, and existing buildings when heat generators are replaced, under the new Energy Performance of Buildings Directive (EPBD). All EU member states, including the UK, will have 20 months to implement the new Directive into their national legislation. A review of existing energy efficiency Directives found that relatively low cost energy efficiency solutions, such as hydraulic balancing of the heating system and the installation or replacement of thermostatic control valves, were insufficiently considered. In order to achieve the intended building energy performance improvements in practice, the new EPDB states that the aim should be to improve the actual energy performance of heating systems, air-conditioning systems and ventilation systems under real-life use conditions. The actual performance of such systems is governed by the energy used under varying conditions, such as part load operating conditions. With this in mind, the new Directive states that the installation of self-regulating devices (for example TRVs) should be considered for the separate regulation of the temperature in each room or, where justified, in a designated heated zone of the building unit. This requirement is subject to the installation of such devices being technically and economically feasible. The new EPDB demonstrates the EU’s commitment to developing a sustainable, competitive, secure and decarbonised energy system by 2050. Decarbonising building stock, which is responsible for approximately 36% of all CO2 emissions in the Union, is seen as key to meeting that goal. Summing up, Gareth Ash says Danfoss will be working with the European Building Automation Controls Association (EUBAC) to guide the industry through the new requirements and to simplify compliance for installers by offering a comprehensive range of high efficiency heating controls.